Advanced Mobile Mechanics are Perth mechanics that come to your home, office or roadside. Car service and car repairs Perth wide. Is your car broken down? You need Advanced Mobile Tune to send out one of their highly dedicated Perth mobile mechanics for car roadside repairs in Perth's northern or souther suburbs. Look at the phone number at the top of your screen for mobile mechanics Perth. Advanced Mobile Mechanics service all suburbs of Perth from Quinns Rocks to Mandurah. You could need mobile mechanics Perth, Carine, Balcatta, Tuart Hill, Osborne Park, Duncraig, Rockingham, Armadale or Mundaring. It doesn't matter! Where ever you are our mechanics come to you in a quickly. Top quality service and the right price, right away! Your car can start the day in a very poor way. It is always the same, your car won't start when you are in a rush. When this happens you need the best mobile mechanics Perth WA. 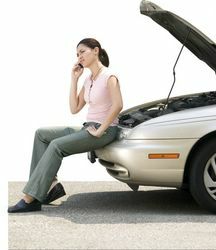 Quality mobile mechanics Perth will come out to you quickly and with minimal fuss. You could be on the side of the road or at home when your dilemma strikes. Advanced Mobile Tune are the experts in getting your car bus or truck back on the road. Their mobile mechanics Perth are friendly and courteous and will do the job right the first time. For everything from a mobile car service to a major repair trust the team at Advanced Mobile Tune.